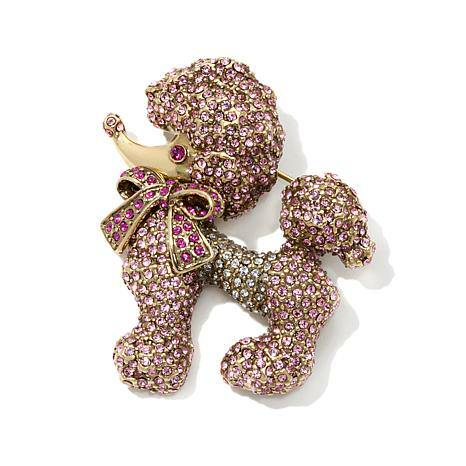 Broke down and bought the pink poodle pin. Do you think it will work with the cords? Thoughts. Saw this about the vertical vs horizontal clasp. Thank you Velveteen. A way will be found. The Poodle’s name will be Heidi. Of course, I am waiting for a Bichon or Maltese pin. However, this will work. I am hoping for some new cords with her September shows. Any ideas what the T.S. will be? Your poodle pin will work with a cord however since the pin/clasp is more horizontal, you will have to fasten it directly to the cord. The pin in Sheba”s picture has a vertical pin/clasp so the pin is affixed over the cord rather than through it. 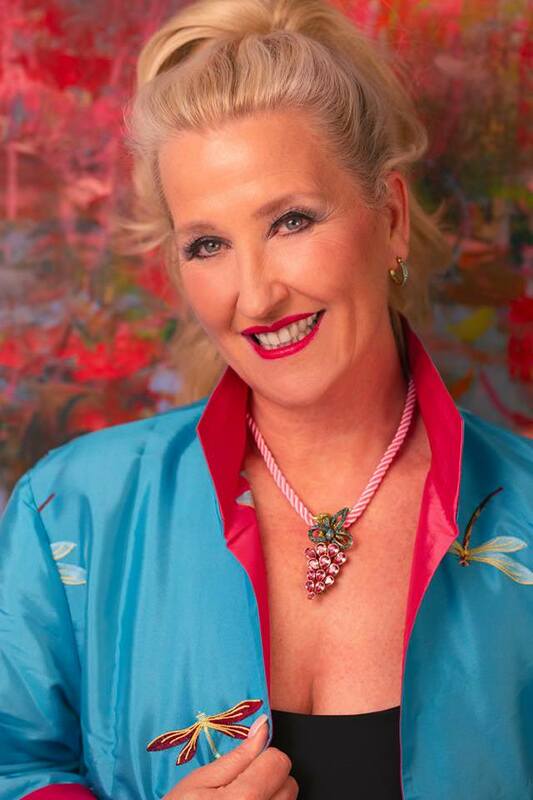 This is how Heidi Daus wears her necklace with a pin. ♥ I am a Heidi Daus Addict. Getting to that point myself. My husband says I light up when I wear it. Fun.